You’ve probably heard of creatine. It’s a substance that many bodybuilders use in order to build muscle mass much more quickly. This substance is sold in supplement form and is something that can be added to protein shakes. However, even though you’ve heard of creatine, you may not understand it. What are creatine effects on body? What makes it so great for bodybuilders? Here’s everything that you need to know. One of the reasons why creatine is such a useful supplement is the fact that it’s produced by the body. Your liver and kidneys create it, simply by processing the foods that you eat. Speaking of foods – creative is found in many different types of meat, including beef and tuna, which makes sense, because you’re essentially eating the muscles of those animals. However, since this organic acid naturally occurs in them in very small amounts, bodybuilders turn to supplements. So, what about creatine effects on body? This is important. It will help you build muscles faster, as we already stated. This is due to the fact that it has a direct effect on the way that your muscles synthesize protein, making them grow larger, faster. In addition, it can help you bulk up in general since weight gain is one of the side effects. On top of this, your overall exercise performance will be enhanced. You’ll be able to exercise for longer periods of time, and will be able to jump higher, run for longer distances, and even lift larger weights. All of these are great for athletes, who always want to do a little better and beat their own personal records. 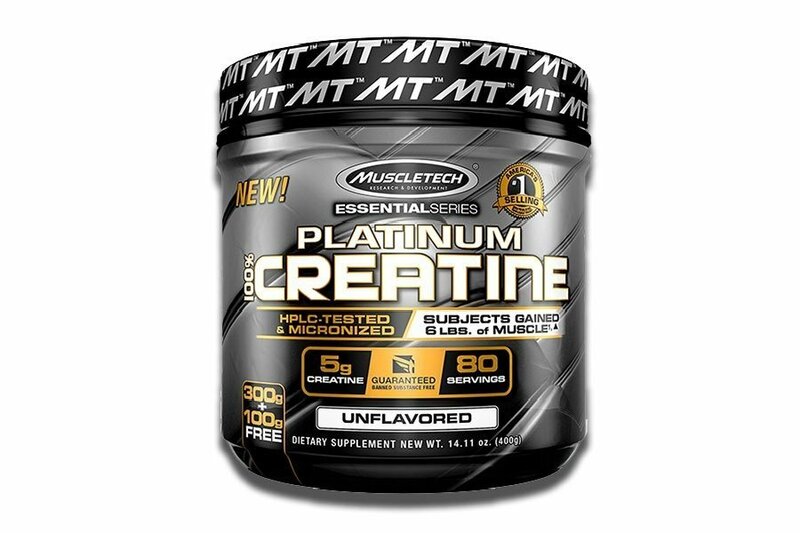 According to the experts, the best type of creatine supplement to take is in powder form. Many recommend taking a scoop of the powder (measuring it appropriately, of course) and mixing it into a glass of juice. If you do this every morning and follow the proper creatine dosage schedule (you need to start with a small amount and work your way up to a full dosage), then you’ll start building large muscles in no time flat. As you can see, creatine effects on body are very positive. This supplement is not only produced by your body after you eat certain foods, but it also enhances your fitness performance.